Choosing a niche for affiliate marketing is an essential first step to building your brand. This specialized market will be the focus of your marketing plan moving forward. A narrowly focused niche is better than a broad one. For example, you love dogs, and want to create a website devoted to this topic. That’s awesome but narrowing it down further is even better – you could choose a niche having to do with service dogs, or a specific breed of dog, or your focus could be offering tasty, home-made dog treat recipes. See where I’m going with this? A niche is a specialized, well-defined group of potential customers with specific needs. People within this distinct group will be who you will target your products and services to. Identifying this group, along with their needs, will be the basis of your marketing. Focusing on one particular audience to serve is more effective than trying to determine the needs of multiple groups. It’s far easier to concentrate your efforts in one area than to cast a wide net that encompasses a range of markets. This way you can hone in on the various products and services that will meet your chosen niche’s needs. Having a niche essentially positions you as a specialist, not only in terms of your expertise, but also in determining and meeting the needs of your target market. It would be exhausting and ineffective to be a specialist in many areas. Make life easier on yourself, and choose a targeted niche in which you can become an expert. This makes good business sense, which is the ultimate goal of choosing a niche in the first place. Select niches allow for increased visibility which will help establish your brand, and improve your online presence. Stand out, be unique, and broadcast what you have to offer to the perfect audience. Finding the right niche may just be your ticket to success! The first step in choosing a niche is to identify what industries or topics capture your interest. What are you passionate about, and what are your unique gifts? How about your area of expertise? What would you like to learn more about? Don’t choose a niche in which you have little interest, or you’ll find it hard to create engaging content. If you’re bored with your niche, you won’t be able to summon the motivation to make it grow! Begin my brainstorming possible niches that may be a fit. Write down any and every idea that comes to mind. Does one idea spark your interest more than another? If so, keep that idea at the top of the list. Gradually narrow down your ideas to just a few potential choices. This foundational step precludes your success in the future so take care choosing a niche that feels right. Having said that, at some point you just need to make a decision. If you decide to change your niche at some point that’s okay! Another pertinent question to ask is this: “Is there a need for my service, and is my niche market willing and able to pay for it?” People will pay for your expertise and products if they solve an existing problem or fill a need. Determine what solutions you can offer and how. For example, let’s say your niche is teaching online sewing tutorials. Is this something you enjoy doing? Do you have expertise in this area, and are you willing to put in the time tutorials require? Narrow down your ideas by answering these questions. Anticipate your competition. You don’t necessarily need to choose a niche where there is little competition. On the contrary, competition is a good thing. What products are businesses with similar niches selling, and what services are they offering? It’s helpful to do some keyword research at this point. This is the keyword tool I use, and it’s awesome, but Google AdWords Keyword Planner is also a good option. If the niche you’re considering has thousands of searches per month, that’s a good indication of having chosen a competitive niche. Now ask yourself what the profit potential is for each niche you’ve selected. Check out affiliate marketing sites like ShareASale, Commission Junction, and Clickbank. What products are available related to your potential niche? Are there a variety of products that you’ll be able to offer? If so, this is a clue you’re chosen a profitable demographic. These considerations and questions should help you narrow down your choices to just one! Yay! Your next task is to choose a domain name based on your niche. From there you’ll want to choose a website platform in order to design your site. Choosing a niche that you are passionate about is the first step toward becoming successful online. Your niche choice, along with consistent hard work, can turn your online efforts into a profitable business. 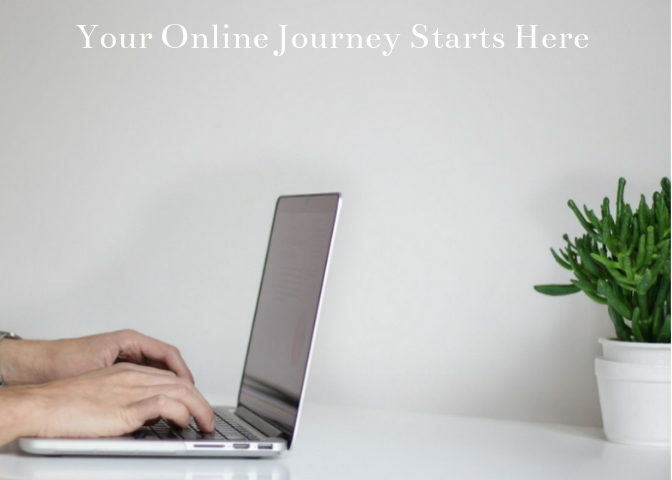 Narrow your choice down to a specialized market that will appreciate and buy what you have to offer, and you are well on your way to earning money online. Are you in the process of choosing a niche? Please leave your questions and comments below!